Once is a mistake. Twice is a coincidence. Three times is a tradition, and that is exactly what the Cinefessions Summer Screams Challenge is becoming. Started back in 2012, the Second Annual Cinefessions Summer Screams Challenge took things to a whole new level, and the participants followed suit. You guys made CSSC2 a huge success, and CSSC3 hopes to be even bigger and better, with more prizes and fun to be had. Just like in the past, the goal of CSSC3 is to watch as many horror and science fiction films and television shows as humanly possible in the month of June. As we watch, we log all of our daily viewing in a blog post of some sort (more on that below). Each viewing earns the participant points, and the person with the most points at the end of the month wins! Simple as that. Kind of. If you are interested in the final results from last year’s challenge, take a look here. The main objective of this challenge is to have fun, and though there are some great prizes again this year, it’s still really about just having a good time with our favorite genres. This challenge is nothing without its participants, though, and that is where you come in. Though the official rules below may look daunting, I can assure you this is just for fun, and is really easy to join in on. All you need is a blog of some sort to post your list (Tumblr works great, and is quick to set-up), and the ability and dedication to update that blog post throughout the month of June with the movies that you watch. Your list can be as simple or as complicated as you want to make them, I just ask that they have the titles of the film, are numbered, and list the date you viewed said movie so I can easily add up the scores throughout the month. These three features will make it infinitely easier for me to keep track of the Challenge throughout the month of June. Interested in joining? Great! Take a look at the rules below, and then follow me on twitter, email me, or leave a comment below and let me know to expect the link to your list. Take a look at my list from last year to see a simple version of how your list could look. As the rules state, though, this is all about being truthful, and anyone that cannot abide by the honor system is asked to stay out of the Challenge as it will ruin the fun for everyone involved. Please also note that the inspiration for this idea comes straight from the DVDTalk Forum’s “October Horror Movie Challenge” and “Summer Sci-Fi Challenge”. I am essentially taking those two challenges, adding to them, combining them, and moving them to June. -The Third Annual Cinefessions Summer Screams Challenge runs from 12:00 am on June 1, 2014 until 11:59 pm on June 30, 2014. -If a participant already has a blog of some sort (or once they create a new blog), they need to create a new blog post entitled “Third Annual Cinefessions Summer Screams Challenge – [Username’s] List”. For example, my blog post would be “Third Annual Cinefessions Summer Screams Challenge – Branden’s List”. -All participants should send the link to their lists to Cinefessions via email (contact@cinefessions.com), through twitter (@psymin1), or by leaving a comment with the URL here. -The only requirements for the lists are the titles and numbers. I also ask that participants denote when a film is following the weekly theme for ease of scoring. Participants should feel free to spice up his or her lists however they want, including links, reviews, scores, denoting first time viewings, and so on. -Films and TV episodes must be viewed in their entirety to count for this challenge. One cannot watch 60-minutes of a 100-minute film and count it for this challenge. -Each participant is allowed up to 3 “Wild Cards”. These are for films that just miss the horror or sci-fi genres. Use your best discretion. -TV episodes also count toward the weekly theme bonus. Short films will count as well, as 60-minutes spent with short films, television episodes, or a feature-length film is still 60-minutes well spent. This means that two 30-minute television episodes, or 60-minutes worth of short film viewing, would equal two points if it fits into the weekly theme. -Any participant that completes the entire checklist with no doubles (explained below) earns 30 bonus points. –New in 2014: There are now five optional items (denoted as such) on this year’s checklist. Each optional item, which will be more time-consuming and/or difficult than the regular items, will be worth 5 additional bonus points. Unlike last year, not every additional item needs to be completed in order to win some bonus points. –New in 2014: If a participant completes all 30 items on the checklist, plus all 5 optional items, they will receive another additional 25 bonus points, making 80 total bonus points possible for this year’s challenge if all items are completed on the checklists (30 points for a completed standard checklist + 25 points for a completed optional checklist + 25 points for completing both the standard and optional checklists). -Each of the five weekly themes will have a corresponding “Featured Film” once again. If this film is viewed during that week, it counts for 3 total points (one for watching, one for following the theme, and one for watching the specially selected film). Week One’s Featured Film is Galaxy of Terror (1981). It is available on Netflix Instant Queue and Amazon’s Instant Video Service for Prime Members. 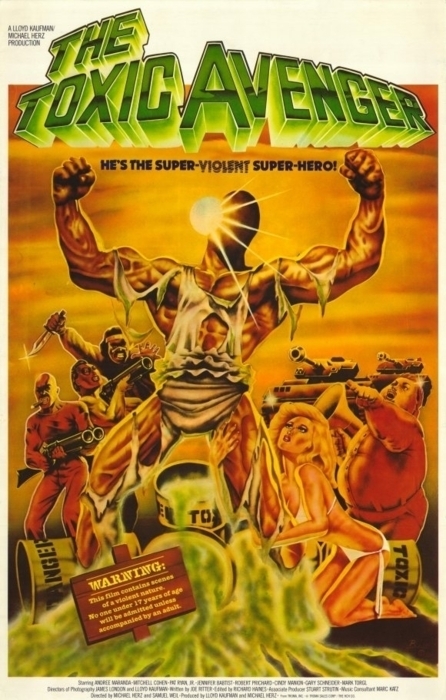 Week Two’s Featured Film is The Toxic Avenger (1984). It is available on Netflix Instant Queue, or to rent for $2.99 on Amazon’s Instant Video Service. 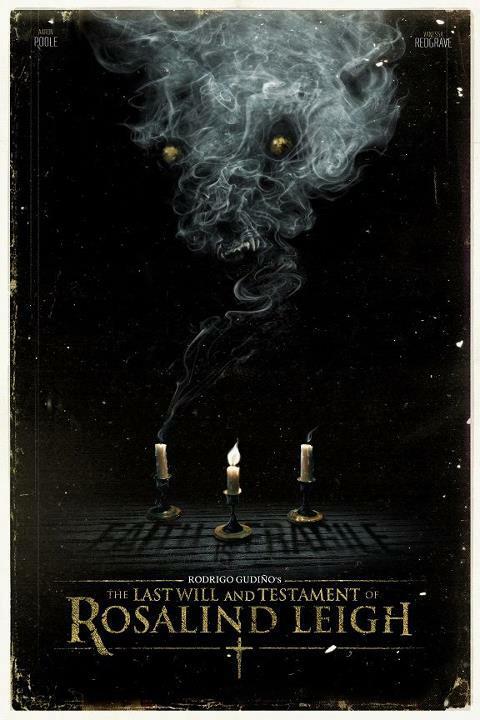 Week Three’s Featured Film is The Last Will and Testament of Rosalind Leigh (2012). It is available on Netflix Instant Queue, or to rent for $3.99 on Amazon’s Instant Video Service. 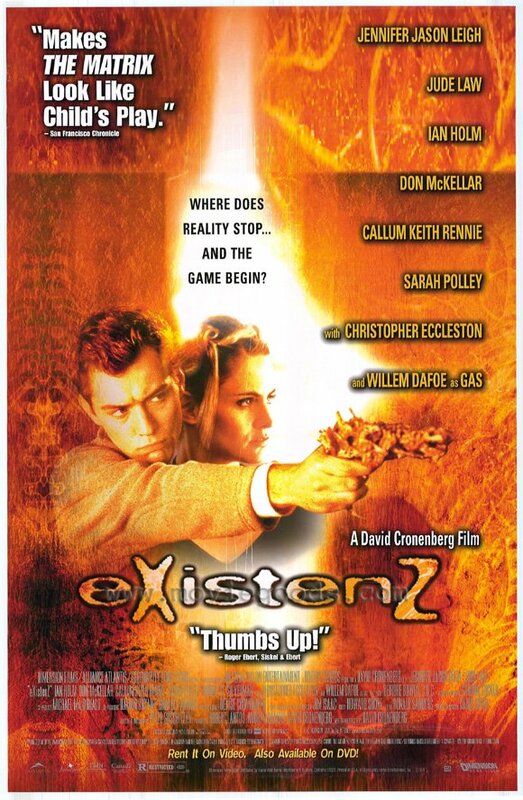 Week Four’s Featured Film is eXistenZ (1999). It is available on Netflix Instant Queue, or to rent for $3.99 on Amazon’s Instant Video Service. 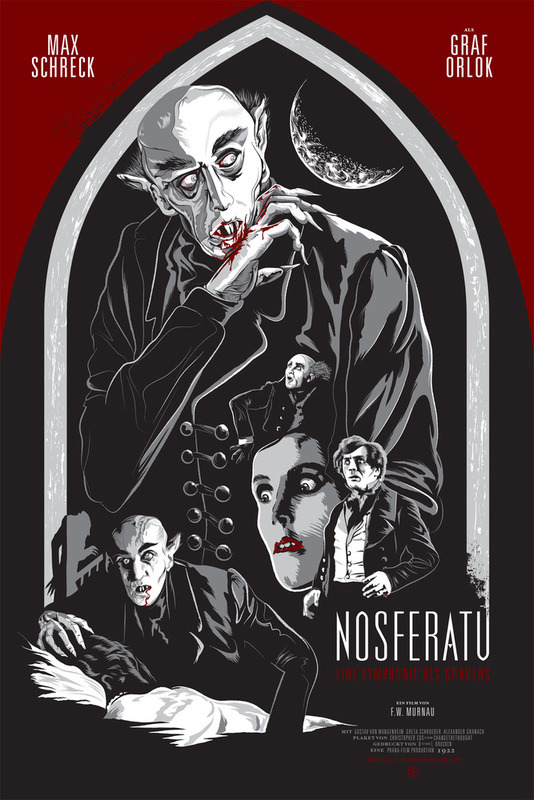 Week Five’s Featured Film is Nosferatu (1922). It is available on Netflix Instant Queue, and on Amazon’s Instant Video Service for Prime Members. -This checklist contains 30 items (one for each day of the challenge), and can only be filled in with feature length films. This year also has 5 additional, optional items that can be completed for 5 extra bonus points each. Participants should put an “X” into any item they complete on the checklist, and list the film after the fact. There are no duplicate films allowed, which means there should be 30 different films on the checklist (or >36 films, 1 television series, 1 novel, and 1 graphic novel for those completing the optional checklist). -All lists must be finalized by 11:59 pm on Saturday, July 5, 2014. 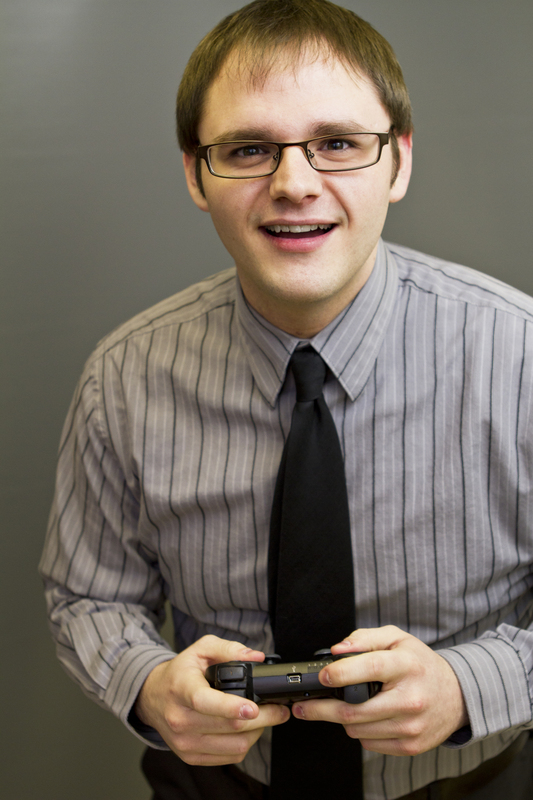 The host – me, Branden of Cinefessions – will tally every list, and is the final judge on counts. –New in 2014: The participant who scores the most points will win a prize at the end of the challenge. This year, the winner will receive a $40 Amazon Gift Card. If there are 25 or more participants, the winner will receive a $50 Amazon Gift Card, and a Scream Factory Blu-ray or DVD of his or her choosing (up to a $30 value). Note: The real prize is spending the month watching great horror and sci-fi films. -The participants with the second, third, fourth, and fifth most points (if applicable) will be put into a random drawing to win a $20 Amazon Gift Card. The winner of that prize will be randomly chosen using Random.org. -Every participant will be entered in to a random drawing to win misc. digital copies of films that Cinefessions has acquired! Participants must have at least one entry on their final list to be entered into this drawing. When discussing the challenge on twitter, use the #CSSC3 tag so that all participants can easily join the conversation. No. This checklist – which is different than most DVDTalk checklists – cannot have duplicates. There should be 30 separate films that fill in the checklist in order to receive the bonus points (or >36, 1 book, 1 graphic novel, and 1 television series if looking to earn the 25 additional points). The finalized lists are due by 11:59 pm on Saturday, July 5, 2013. Whatever films are listed on everyone’s list at that point are what count; no more, no less. Make sure you finalize everything by that time so you get credit for each film watched during the month. #CSSC3 – the acronym for the Challenge. Use this to tag any posts that fit the challenge so everyone can find them, and they can breed some discussion. You can find me on twitter @psymin1, or email me at contact@cinefessions.com. Does Book X work for the optional checklist Novel item? Short answer: if it is in some way related to film, I’m sure it does. The book can be fiction or nonfiction, and as long as it is about, is inspired by, or inspired a horror or sci-fi movie, it counts. It can be a nonfiction title about the study of horror or sci-fi films in general, or a specific horror or sci-fi movie. It can also be a biography about a popular horror or sci-fi figure, such as George A. Romero, Roger Corman, or Bruce Campbell, for some good examples. The book must also be of a worthwhile length (100+ pages seems fair). If there are any questions, do not hesitate to confirm with me that the book would, in fact, count. Which graphic novels count for the optional checklist? Again, as long as they are horror or science fiction themed graphic novels (not single comic book issues, but actual graphic novels), and are at least 50 pages in length, they work for this challenge. Does this television series count for the optional checklist? If it is a horror or sci-fi show that is at least 10 episodes in length, it counts for the optional checklist item, and once all episodes are viewed (they should all be on your final list), it will count. Explain the possible bonus points again, please. Gladly! So if a participant completes every checklist item – all 30 items on the original checklist, plus all 5 optional items – they will score 80 bonus points at the end of the checklist. This is because they score 30 points for completing the original checklist, 5 points each for completing all of the optional checklist items (so 25 points) and then an additional 25 points for having the stamina and determination to complete both. If a participant only completes the 5 optional checklist items, they only receive 25 bonus points. If the participant does not complete all 30 of the standard checklist items, they receive no points for it. I think that makes sense. Let me know if not!